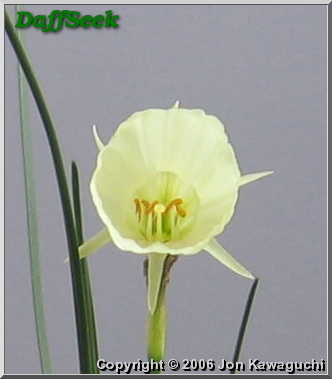 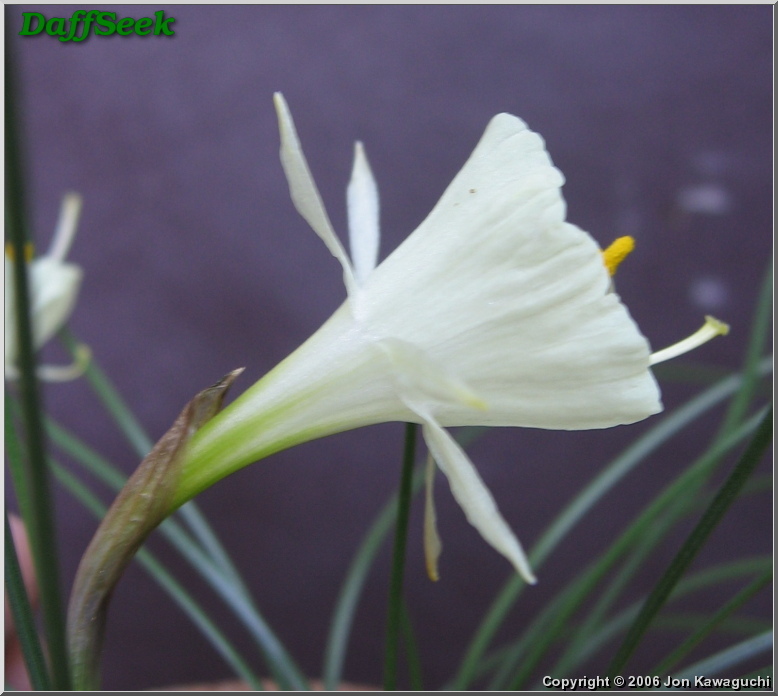 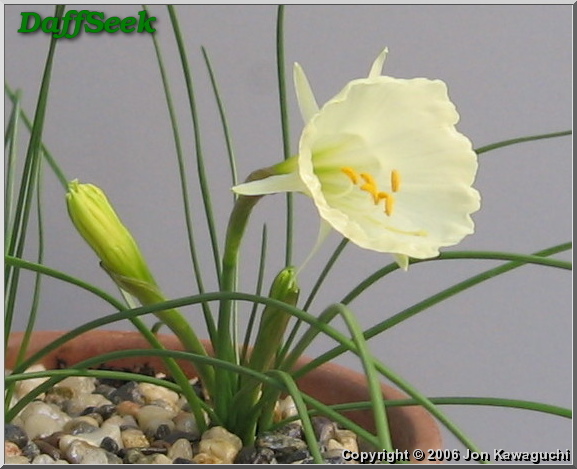 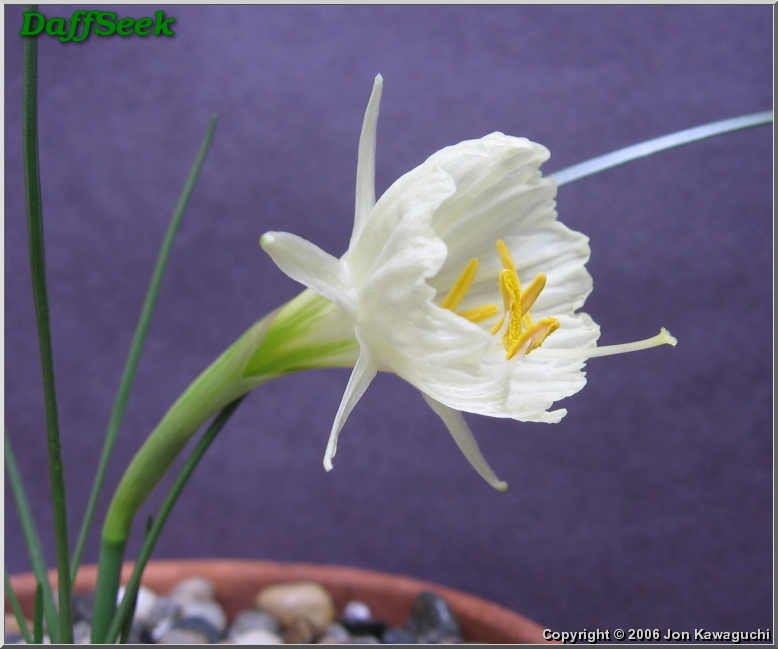 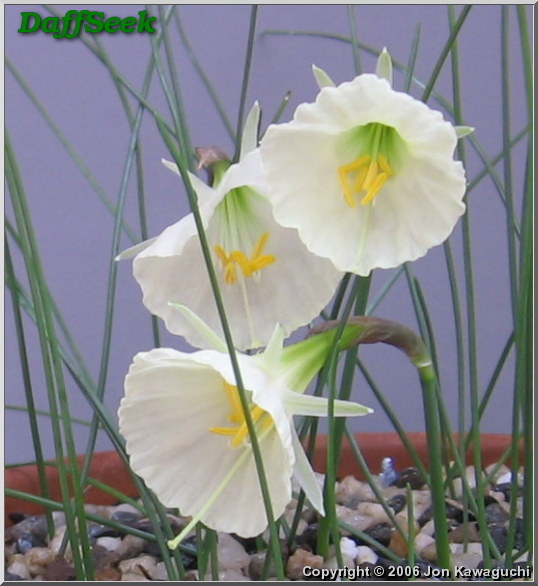 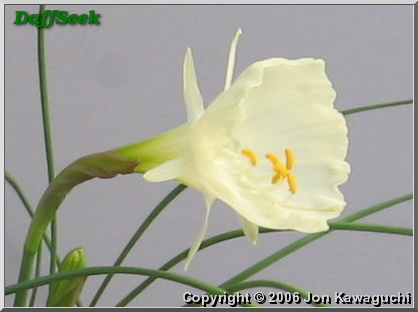 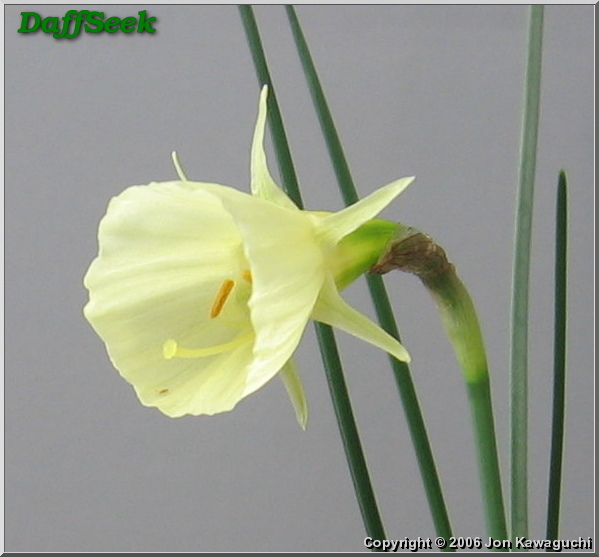 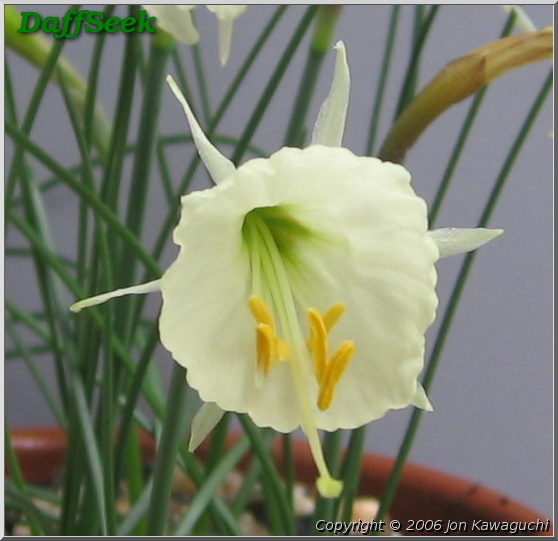 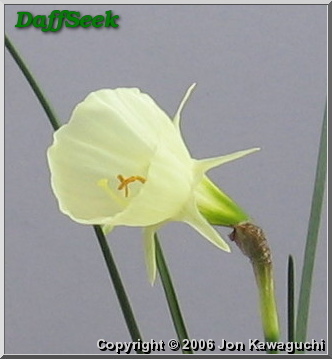 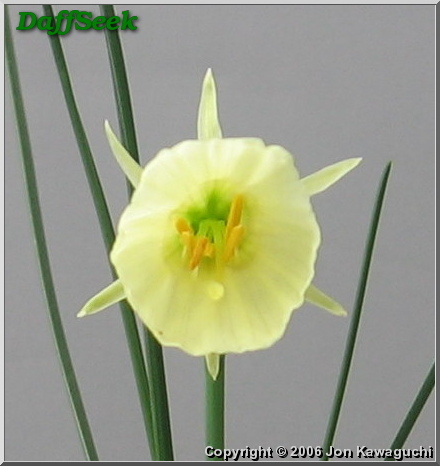 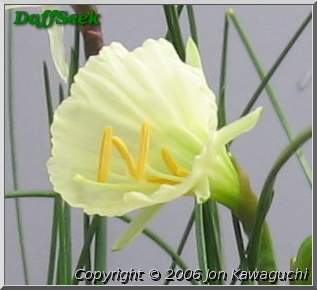 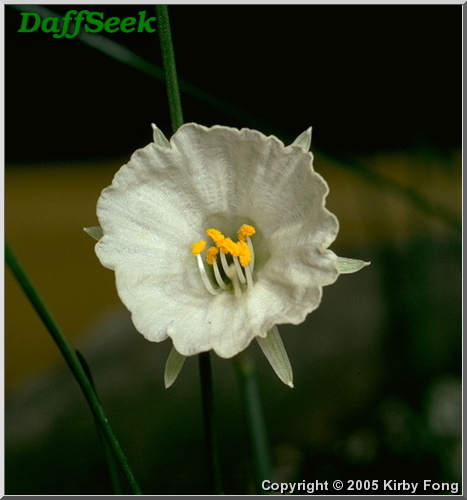 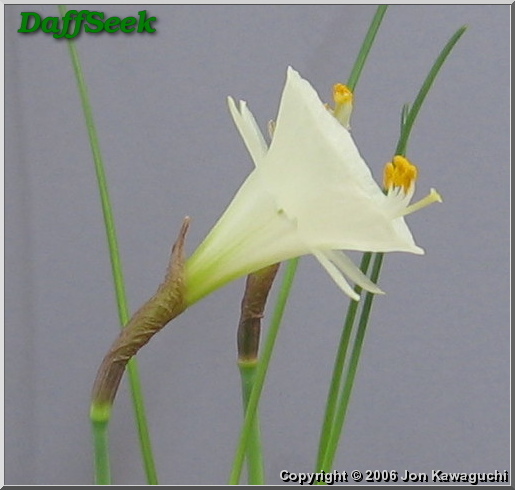 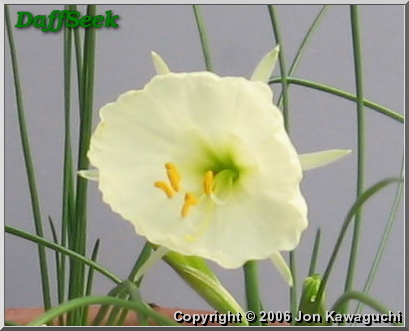 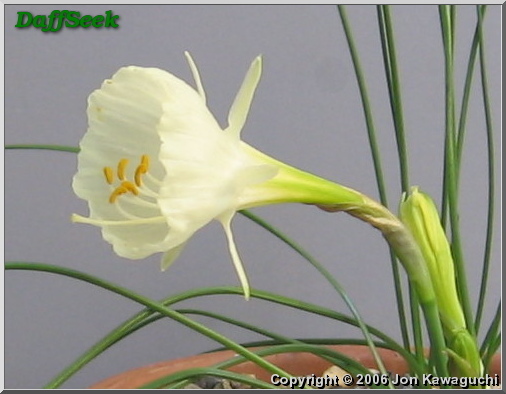 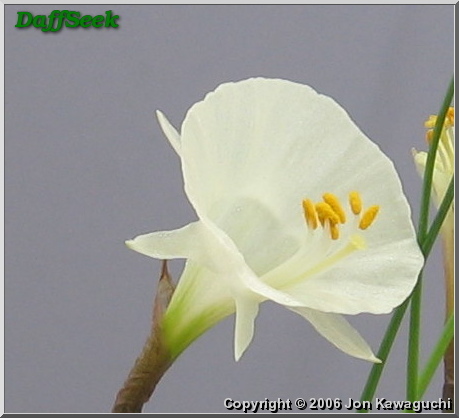 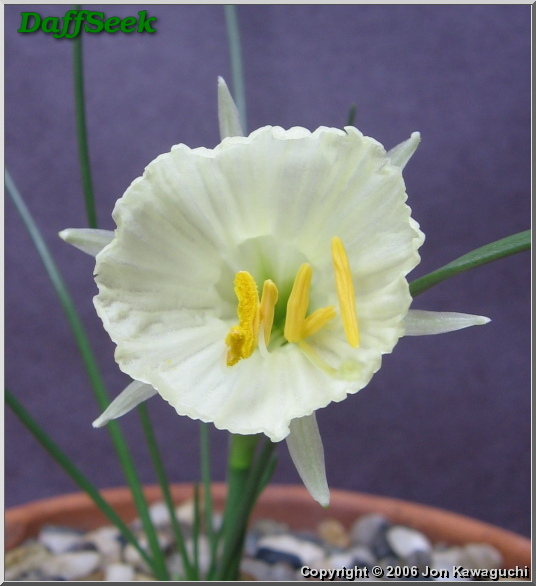 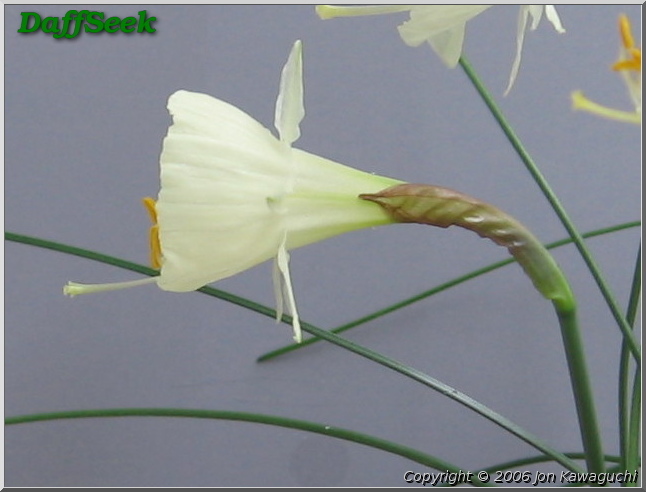 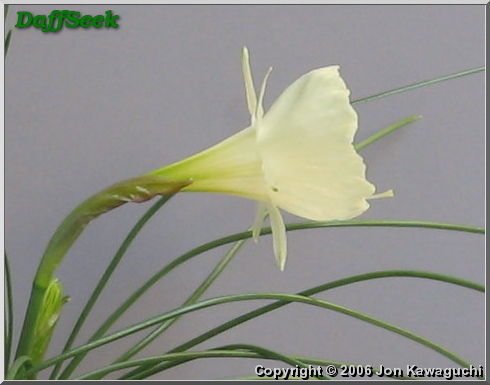 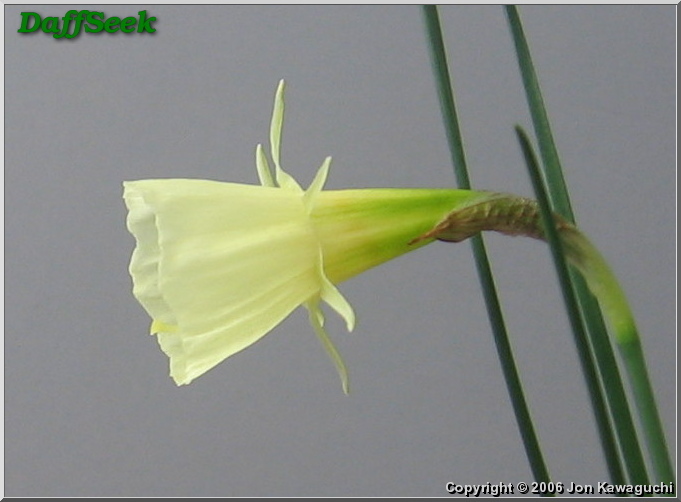 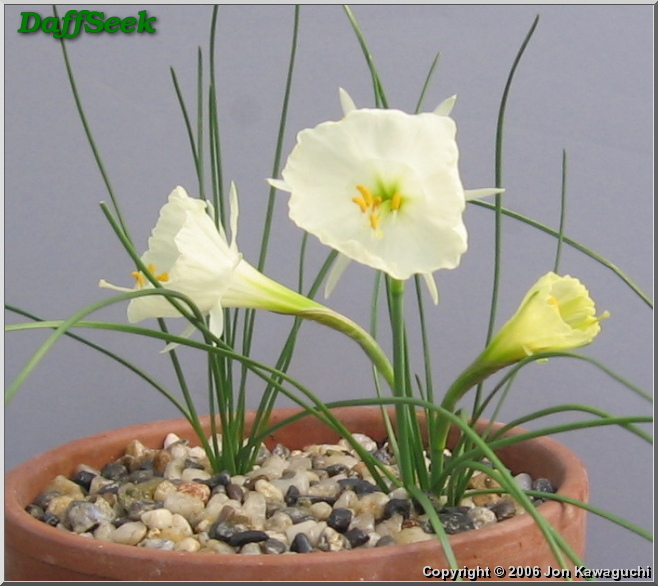 30-37 mm wide, variable color from pale yellow to off-white; petals are lanceolate to narrow, acute, separated; cup is variable from bowl-shaped to cup-shaped, flared, smooth, mouth slightly frilled. 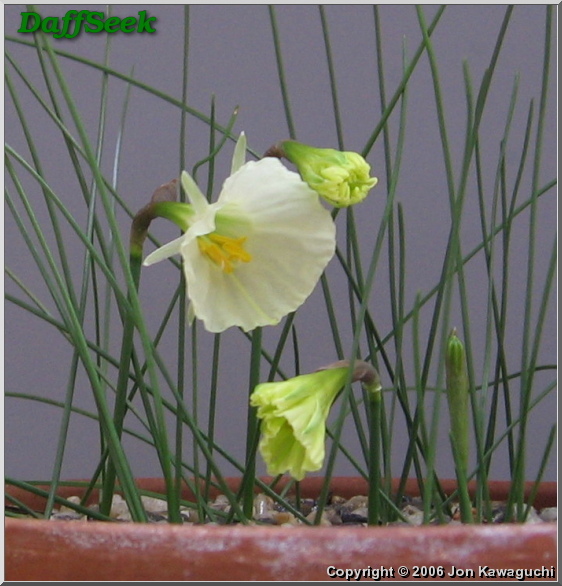 A group of unselected seedlings raised from crossing N. cantabricus var. 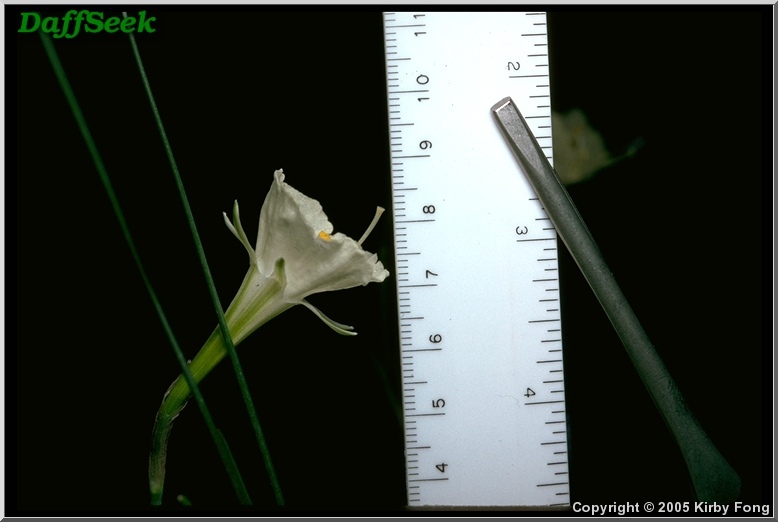 foliosus and N. romieuxii.